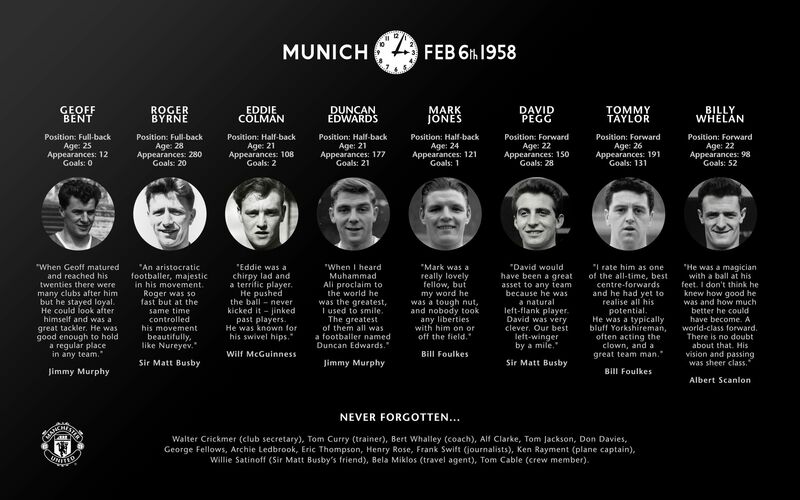 February 6, 2019, marked the 61st anniversary of the Munich Air Disaster, a fateful afternoon that claimed the lives of 23 passengers including eight of Matt Busby’s young Manchester United squad. 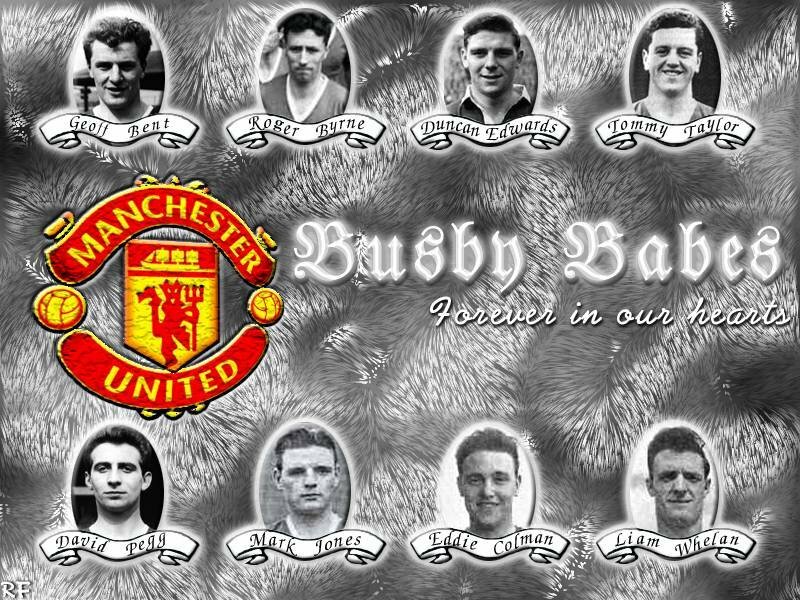 The “Busby Babes”, as they were known by fans and rivals, would forever be remembered in the club’s fabric and history. Here we take a look at how mighty the Busby Babes were in their prime, the events before the crash and the team’s legacy. 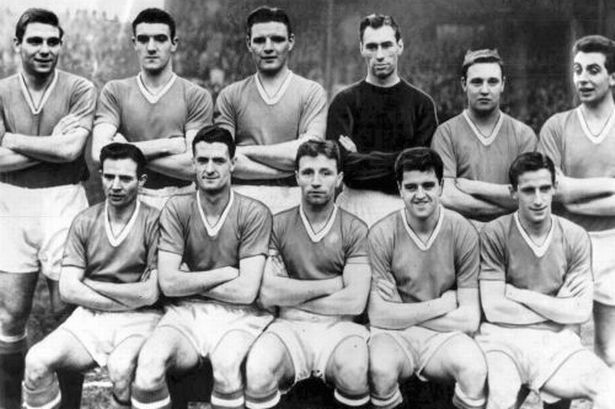 The 1957-58 season started with Manchester United making the headlines all over England. Under Manager Sir Matt Busby and Coach, Jimmy Murphy, the young side had been champions of England the previous season. Often nowadays, when we talk about The Busby Babes, we fail to credit the heroics of The lanky Welshman, Jimmy Murphy. With the all-new European Cup making the rounds amongst the UEFA-affiliated nations in Europe, United, being champions of England the previous season, decided to take part in it. But, the Red Devils were initially denied entry by The Football League’s secretary, Alan Hardaker, who believed that not participating in European competition would be the best for any English team. Chelsea in the previous season was not allowed to participate, but Matt Busby along with his chairman, Harold Hadman, forced United’s way into the European Cup and Manchester United became the first team to play in a European Competition. They were eliminated in the 1956-57 season in the semifinals by eventual winners, Real Madrid, but following the English league triumph in successive seasons, they took part in the next season as well. United were in a tricky position at the start of the year. The European competition was taking its toil and league matches were becoming tougher day by day. Their previous round European fixture with Dukla Prague saw them win 3-1 in aggregate but foggy conditions in England forced United to take a much exhausting route back. They flew to Amsterdam from which they sailed to Harwich and then a train back to Manchester. Three Days later, they drew 3-3 against Birmingham City losing valuable ground to title contenders, Wolverhampton Wanderers. The next European fixture was against Yugoslavia’s Red Star Belgrade in the quarterfinals. A 2-1 win at Old Trafford meant United would be requiring a draw away to qualify for the semi-finals twice in as many years. At the weekend, United went to Highbury to win an exciting 5-4 clash against Arsenal. It was a fantastic exhibition of attacking football from the Busby Babes as goals from Tommy Taylor, Dennis Violet, Bobby Charlton, and Duncan Edwards saw The Reds brushing past The Gunners. The match also marked the last time many of the players would play in English soil. A risky away tie at Belgrade and a crucial league tie against Wolves on Saturday saw United in a chaotic situation. Manager, Matt Busby rang up the Football Association to delay the fixture for a day, only to be refused. Out of options, they decided to charter a British European Airways plane to return by Friday, i.e. 24 hours ahead of the clash. A nerve wrenching 3-3 draw in Belgrade saw United qualifying for the semi-finals in a 5-4 aggregate. After the match, a cocktail party was thrown at The British Embassy at Belgrade. There was an air of jubilation around the players. On their way back, the plane stopped at Munich to refuel as a non-stop flight from Belgrade to Manchester was out of the question for Elizabethan planes at that time. While at Munich, the plane refueled and tried to take off, but heavy snow on the runway and an odd accelerating engine forced the captain to abandon take off. A second take off was scheduled half an hour later, but that was called off too. An air of nervousness surrounded the players and passengers. Edwards sent a telegram to his home, “All flights canceled, flying home tomorrow.’ The letter would reach his home around 5 pm, two hours after the crash. Full-back Bill Foulkes remembered, ‘David Pegg got up and moved to the back: ‘I don’t like it here, it’s not safe,’ he said and went off to sit with the other players. I saw big Frank Swift back there. He also felt that the rear was the safest place to be. I kept the deck of cards firmly inside my jacket pocket.” The plane prepared for a take off for the third time in which the crash took place. Back in Manchester, it was late evening when the news surfaced. Jimmy Murphy, who was also the Wales manager at that time, had a World Cup qualifier against Israel on the very same day. Wales won 2-0 and an ecstatic Murphy went to the club with a happy mind after returning from Israel when Busby’s secretary, Alma George broke the news to him. “The words seemed to ring in my head, my head was in a state of confusion and I started to cry” Murphy recalled later. A Manchester Evening News headlines read as: ‘UNITED CUP XI Crash: 28 Die’. Within an hour or so, news started filtering out in the street that Manchester’s dearest boys are no more. Some of the relatives and supporters already went out for Manchester airport where they had gone to welcome the team home in triumph. Chief scout, Joe Armstrong was rushed to the airport where he apprised them with the news. Jean Busby, wife of Matt Busby collapsed in tears as wives and girlfriends of players clutched onto each other. The Nation was stunned. In Munich, it was complete mayhem at the Rechts der Isar hospital. Duncan Edwards and Matt Busby were kept in oxygen tents. Bobby Charlton had a bandaged head; Jackie Blanchflower was nursing an injured arm. Dennis Viollet too had a gashed head, along with some minor facial injuries. No one had a clue about how many survived and how many did not. Bill Foulkes recalled in a recent interview, “We were about to leave the hospital when I asked a nurse where we should go to see the other lads, She seemed confused so I asked her again. She replied, Others? There are no others, they are all here.’ It was only then that we knew the horror of Munich. The Busby Babes were no more”. The doctors still claimed that Duncan had a great chance of survival. The Football League called off the match between Manchester United and Wolves at the weekend. The FA Cup tie against Sheffield Wednesday was also postponed. The club was at a standstill. On Saturday afternoon, The Old Trafford stand which hosted 60,000 odd supporters on a game week stood deserted with a gush of wind flowing by. Jimmy Murphy faced the board of directors where they shockingly decided to shut down the club! Murphy gave an answer which forms the very principle on which Manchester United lies till today. “I know these players better than anyone else in this room. I found them, nurtured them. I stood with them, in the winds as well as the snow. And they repaid this club with their skill and passion and now with their lives. When Matt and I started this, nobody believed we could win something with these young lads. Nobody believed Manchester United could ever replicate success. We were told we cannot win the league with kids, we cannot match the elite teams in Europe and every time we proved them wrong. It is not about their memory; It is about who we are, Showing we will not be bowed down by tragedy, because how we are in the future will be founded on how we behave today” Murphy signed off. They did come back The United Way. Murphy quickly signed a number of players by which United can make an emergency team. Harry Greg and Bill Foulkes were the ones amongst the survivors. Stan Crowther from Aston Villa and Ernie Taylor from Blackpool were roped in. Reserve players Shay Brennan and Mark Pearson were promoted into the first team. Together they put up a team against Sheffield Wednesday. The front cover of the match program read, “Manchester United will go on”. United defeated Wednesday 3-0 to progress into the next round. With a handful of players who hardly knew each other till the morning, Murphy took them together in the field to make them play as one team. Manchester United went on to reach the FA Cup final that season. With a team of reserves and some non-professional footballers, United achieved what was deemed as miraculous. It was a feat no one thought was possible coming only three months after the crash that devastated the team. The spirit, passion, and the zeal to win is what made the club go on even in the toughest times. The mentality of the club changed after the tragedy and that legacy has been carried on till today. Before the final, Sir Matt Busby paid a visit to the dressing room with the help of a walking stick. United wore shirts that featured a phoenix out of flames, rising from the ashes, which summed up their season alongside the tragedy. Murphy said in the dressing room pre-match, “To come this far has been a miracle. We have already won just by being here.” They were beaten 2-0 by Bolton Wanderers. What makes the Busby babes different from the other great teams in the history of football is the fact that they were not only the best team of their time, they were the most loved team too. The whole country loved them, irrespective of rivalries. At the time of the tragedy when the club was going through a rough patch and they had no money to make new signings, kids donated from their pocket money, wives donated from their savings. All of these did not come only due to the love towards the club, it came for the love of these lads too. And the love is what has kept them alive among the memories of the fans worldwide till day. 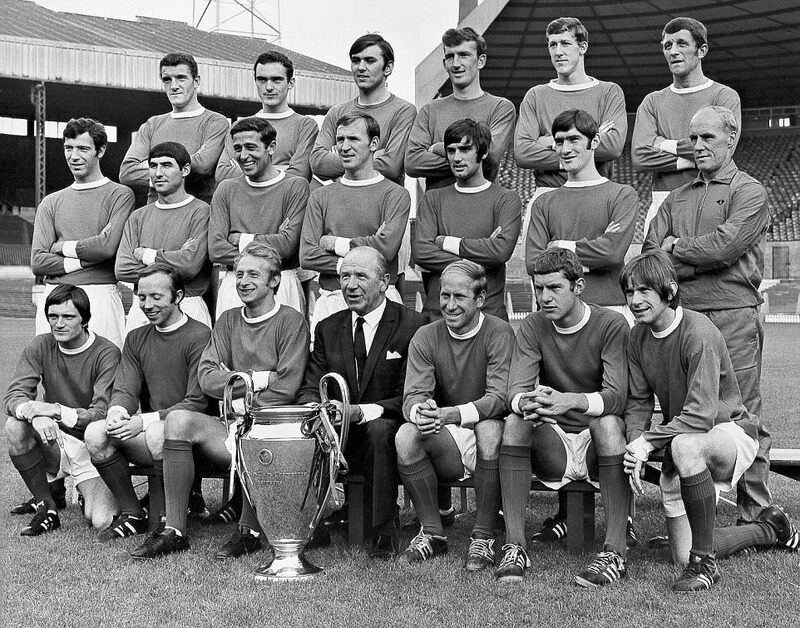 Sir Matt Busby went on to manage Manchester United till 1971 and finally got his hands on European glory. 10 years from the crash, Charlton captained the United side which boosted the qualities of Dennis Law, George Best to win the 1968 European Cup by defeating Benfica 4-1. The dream was achieved. His revolutionary concept of winning with a young squad paved an example for future greats to win the game with youths. Manchester United kept the red flag flying high. Previous articleMatch Preview: Manchester City Vs Chelsea, Key Defensive Change That Could Alter The Game Will Be Made? Will Arsenal Be Signing This Former Manchester United Star Now?